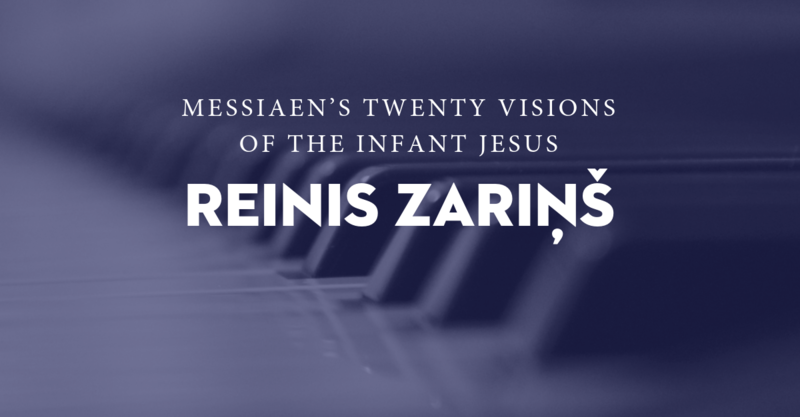 Messiaen’s Twenty Visions of the Infant Jesus: Reinis Zariņš, pianist. This is truly profound Christmas music! Here is a rare opportunity to hear Olivier Messiaen’s penetrating Christmas cycle, Vingt Regards sur l’enfant Jesus, in a complete performance by candlelight in a sacred space by a dazzling pianist who has made this 20th-century masterpiece a specialty in his repertoire.